If the Harry Potter and the Deathly Hallows Part 1, you who are lovers of the novel and movie fans were treated to the story of Harry Potter Harry's struggle to destroy the Horcruxes and reveal the presence of three of the most powerful thing in the world of magic, then Harry Potter and the Deathly Hallows Part 2 is you'll see Harry return to Hogwarts to find and destroy Voldemort. 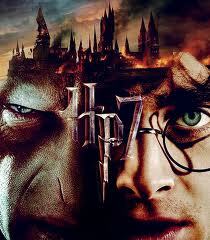 But when Voldemort knows their mission, the biggest battle begins and their life becomes very different as before. Harry has gone far enough. Through its ability to telepathically with Voldemort, Harry can find out if Voldemort already had the Elder wand, one of the tools of the Deathly Hallows legend. Moreover, He-Who-name-Not-Allowed-Called it also knows that spells protection Harry has been destroyed, Voldemort can now kill Harry even just with fingers. After successfully collecting and destroying several Horcruxes, now Harry and his friends return to Hogwarts. And once again, through their minds are connected, Voldemort knows Harry's plan and went to Hogwarts. In order to eliminate Harry forever. When Ron and Hermione keeps searching and trying to destroy the rest of the remaining Horcrux, there is no chance for Harry to retreat. because Voldemort has mastered the magical world of Hogwarts and the government. Finnaly, Harry and Voldemort was confronted at Hogwarts magic school. 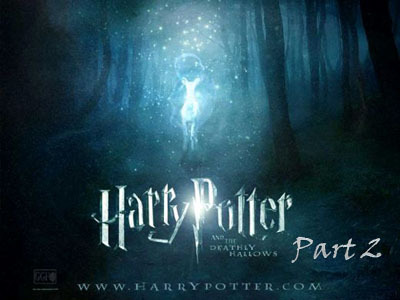 Maybe it was the outline of a liaison from part I to Part II Harry Potter and the Deathly Hallows, which is the seventh of this series. If Part I tells of the journey, Part II is a battle. Hogwarts selected a site determination of life and death of Lord Voldemort and Harry Potter. As written in his book, the film will also be full of spells, flashes of light from a wand, and darkness. The last movie was the climax as well as the final determinant of the success of the Harry Potter series in the world to break box office.